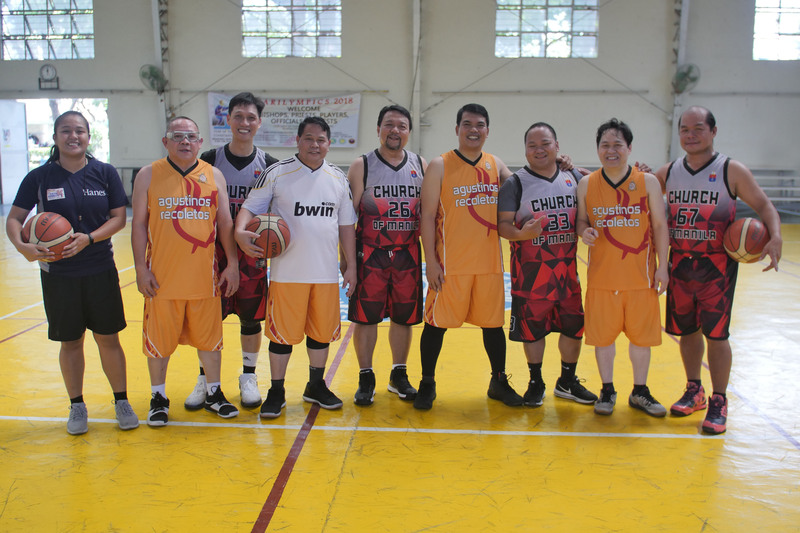 The top 2 contending teams for five-on-five basketball game: Team Agustinos Recoletos (yellow-gold uniform) and Team Church of Manila (grey and red uniform). 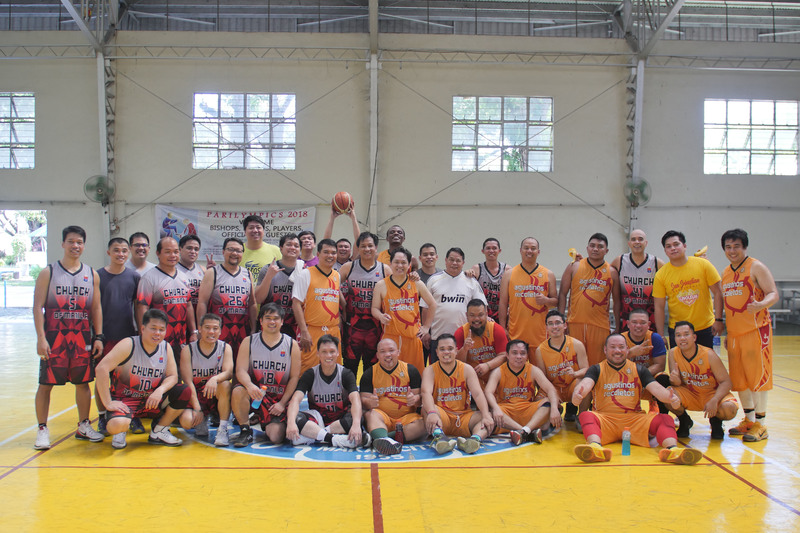 MAKATI CITY—The clergy of the Archdiocese of Manila and the religious of the Province of St. Ezekiel Moreno, Order of Augustinian Recollects played the championship game for basketball in the Parilympics 2018 at Our Lady of Guadalupe Minor Seminary, Guadalupe Viejo, Makati City. With the score of 86- 62, Team Agustinos Recoletos grabbed the trophy and title as the champion for this year’s season from the long-time reigning champion Team Manila. For the whole quarters of the game, the Recollect team maintained the lead against the defending champion. Fray Dionisio Selma, OAR, Prior Provincial, supported his brothers and even played during the three-on-three basketball match. The championship game for basketball reached three games. 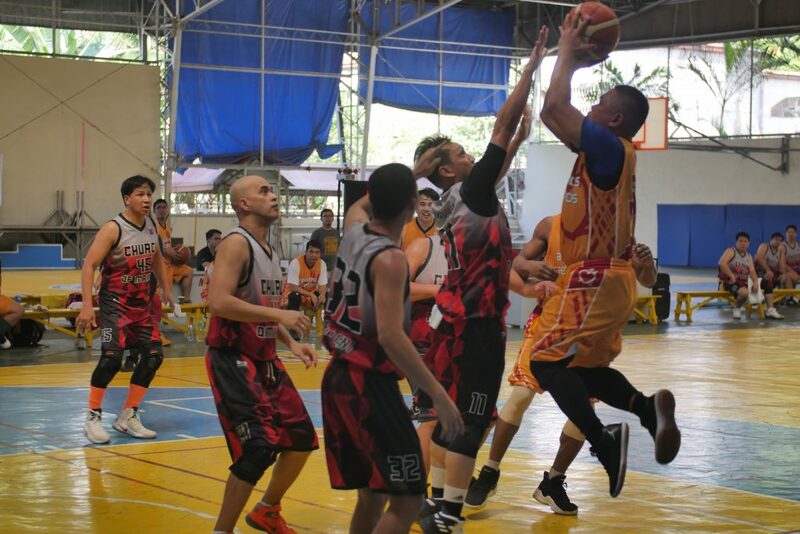 The first game was held in San Sebastian College- Recoletos gym where Team Agustinos Recoletos won. 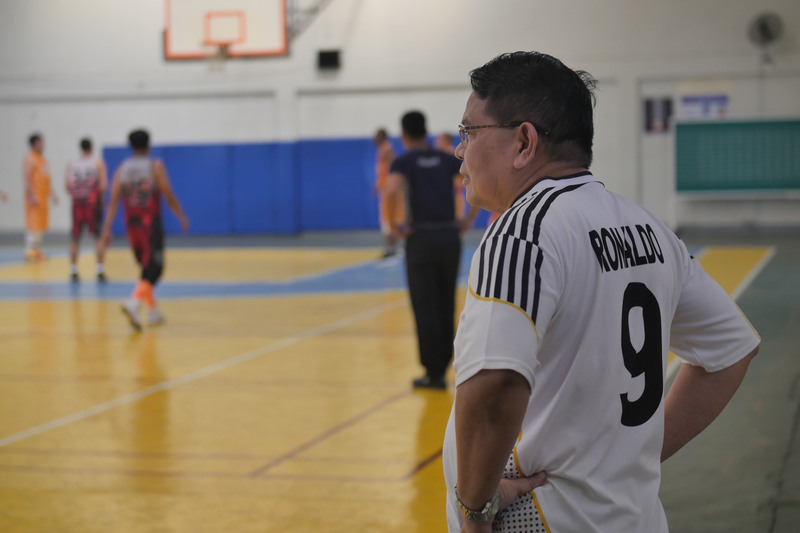 The second game was held at Our Lady of Guadalupe Minor Seminary gym, this time favoring the clergy from Manila, giving the two teams with one point each. The decision game was held in the same gym where the team composed of religious priests and brothers bagged the prize. The Parilympics, a sports festival for the clergy from the different dioceses of Luzon, started in the year 1995 and has continued to be held yearly until the present. For this year’s season, it was intended to be in line with the Church’s celebration for the Year of the Clergy and Consecrated Persons to keep them fit, both mind and body, for the demanding task they are carrying and to keep the camaraderie between clerics and the religious congregations. The 2018 Parilympics commenced last October 1, 2018 and ended on November 5, 2018. It was participated in by the following teams: Archdiocese of Manila, Diocese of Malolos, Diocese of Imus, Diocese of Novaliches, Diocese Antipolo, and the Augustinian Recollects. It was only in this season that the Augustinian Recollect religious from the different communities of Luzon formed a team and competed with other dioceses. In the previous years, they teamed up with the diocese where they belong. What made this season different the was the inclusion of minor games: badminton, bowling, lawn tennis, and three-on-three basketball. Team Agustinos Recoletos also bagged top 2 and 3 spots in the minor games: badminton singles, 3rd place; badminton doubles, 2nd place; tennis singles, 3rd place; tennis doubles, 2nd place; bowling, 3rd place; and three-on-three basketball, 2nd place. The players for the three-on-three basketball games. Only those who aged 45 years-old and above were allowed to play on this game. Congratulations to all the clergy and religious men who joined in Parilympics 2018.